1 drawing on paper ; 4 x 6 in. 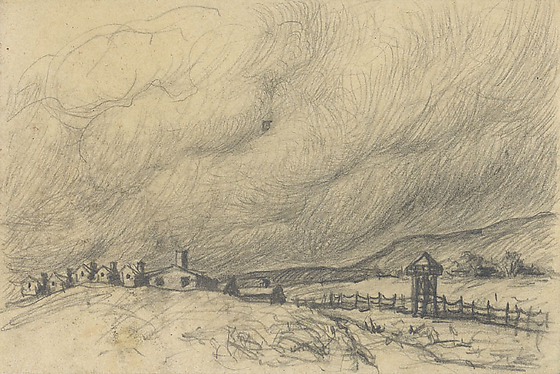 Pencil drawing of storm over concentration camp. Dark billowing clouds dominates two thirds of the image. Below are barracks with chimneys located on left on slight hill ; watchtower and fences on right with hills in background.